The "whiteout" is back. For the first time since 2002, the Phoenix Coyotes are in the postseason. The official sales campaign is called "Rolling out the White Carpet." Maybe they could re-name it, "Sorry, we didn't think you were going to make the playoffs at the beginning of the season and man did you surprise us." The Coyotes not only have made the Stanley Cup Playoffs, but with two points in their remaining three games, they can secure home-ice advantage in the first round. It's an incredible story that could have gone so wrong, but there are a number of reasons it hasn't. Shane Doan -- You couldn't ask for a better teammate or leader in the dressing room. The veteran hit the 1,000-game mark this season. At the beginning of the season he told me the threat of having the Coyotes move now made him understand what the veterans were going through back when he was a rookie in Winnipeg and the franchise was leaving town for the desert. As a young player all he had to do was trade in his parka, pick up his things and go. Now with family considerations, there was an off-ice component he never had to deal with before. Dan Pollard brings a wealth of sports knowledge and passion to his role as host of NHL Network's signature show, NHL On The Fly. 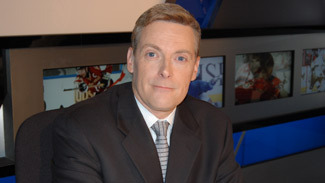 The Toronto native joined NHL Network in October 2002. Away from work, Pollard contributes much of his time to coaching in the Canadian minor hockey system. In this week's column, Pollard has five reasons why the Coyotes are back in the Stanley Cup Playoffs. That's a heavy burden for a dad, to say the least for a captain. But he's handled it well. In September he was the captain of a team without a coach. Wayne Gretzky's contract was caught in the legal tangle of bankruptcy court and Dave Tippett wouldn't join the fray until Sept. 24, just before puck drop on the regular season. Enter the assistant coach. Ulf Samuelsson -- It could have been a disaster not having a head coach to prepare for the season, but the team was ready. Training camp went off without a hitch despite Tippett's late arrival. Ulf Samuelsson deserves the credit for keeping the train on the tracks. The 45-year-old assistant, the man in charge of tactics and practice plans, put the players through their paces until his friend Tippett stepped in. He kept it simple and there was no lost time. The Coyotes hit the ice and reeled off nine wins and four losses in October. Remember what they say about those points in October being as important as the ones in March and April. Don Maloney -- General Manager Don Maloney made sure this group was slightly different then the one that made a great run last season before falling off at the All-Star break. No need though for big splashes in the free-agent pool or on the trade front, though. Maloney instead quietly supplemented his lineup with experience. The Vernon Fiddlers, Petteri Nokelainens and Robert Langs were brought in, and they provided help to a core willing to buy into a system. The dressing room was united and remains that way heading into the playoffs. Maloney already had a solid defense. This season it's a group that lights the lamp often. Keith Yandle leads the rearguards in scoring and continues to improve. The Coyotes' defensemen lead the League in goals scored. Sami Lepisto (plus-12) and Adrian Aucoin haven't hurt the cause. Aucoin was a perfect 4-for-4 in shootout game winners until recently. Maloney hasn't been afraid to tinker. Peter Mueller was shipped out after underperforming and questions about his work effort. 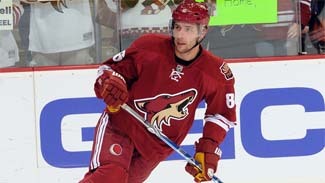 While he's put up 20 points in 15 games in Colorado, the Coyotes haven't suffered. Wojtek Wolski has blended seamlessly into their game plan. He came in to become their leading point-getter while Lee Stempniak has provided the offense Mueller didn't, scoring 13 goals in 15 games and earning recognition as NHL First Star of the Month in March. Ilya Bryzgalov -- Let's be honest, great goaltending gives you a wider margin for error. Ilya Bryzgalov, who in past seasons has been known to pass along critical analysis to teammates, has, with the help of goalie coach Sean Burke, re-dedicated himself to finding a peace with his craft. He's set a record for wins in a season by a Coyotes goalie and established a career high in games played. Phoenix is a League-best 28-6-6 in one-goal games this season. Talk about a small margin for error. Dave Tippett -- He's calm, in control and knows how to get the best out of the crew he is given. It'll be a shock if he doesn't win the Jack Adams Award. The former Dallas Stars coach has 319 wins since the 2002-2003 season. Doan says Tippett knows how to get his message across. Nothing could be more important this season. He's a key support pillar for a team in flux off the ice. Yes, the Whiteout is back thanks to a story that has gone so right.